Restwell enjoyed a festive day in work before Christmas in order to raise funds for local nursing home, Sanville Nursing Home in Coalisland. 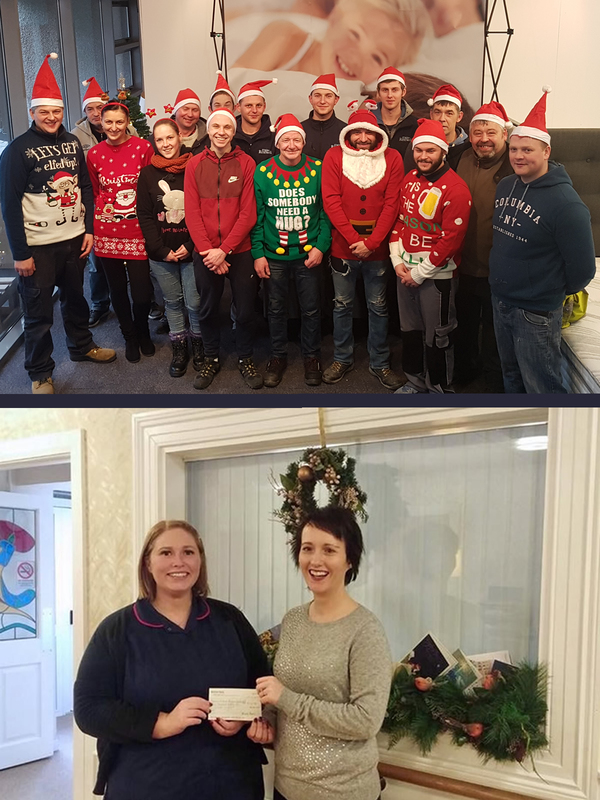 The Restwell Christmas Jumper day raised an impressive £454 in total, which was received by Sanville before Christmas in order to be used for their Resident’s Comfort Fund. Sanville Private Nursing Home provides a warm, caring and friendly environment for 40 residents. It is a small family run home and was built specifically to meet the needs of residents. They aim to ensure individual attention is given to each resident – Sanville is considered their home. The Home provides 24 hours nursing care and is registered with the Regulation and Quality Improvement Authority who regularly inspect and regulate the operation of the Home. 2018 Restwell. All Rights Reserved.